Each and every citizen of the United States has the right to be notified if and when legal action is taken against them. Each citizen also has the right to know if a court takes action in said case. This is a right given to every American according to Due Process. There may come a time when you need to hire a San Bernardino County licensed investigator to ensure you are abiding by that law, or benefitting from it in some cases. 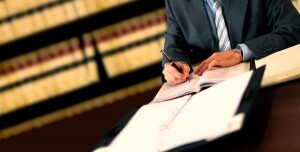 A process server is a specialist who is qualified to ensure that each citizen becomes informed of court actions. All legal documents pertaining to said actions must be delivered in person, and a process server is the person who delivers them. Usually, that process server is also a private investigator but it doesn’t have to be. People chose a San Bernardino County licensed investigator to be the process server because many citizens wish for their official documents to be handled by a qualified professional. In short, hiring a San Bernardino County licensed investigator just makes more sense. At times, process serving can become difficult or complicated, even for a diligent San Bernardino County licensed investigator. The difference is, a San Bernardino County licensed investigator has a plethora of technological and investigative tools that the average person does not. He or she will use them to help track down the individual needing served. For more information on having a qualified process server work on your behalf, or to hire a San Bernardino County licensed investigator immediately, call (951) 800-8232. We provide you with a free initial consultation and price quote for our services.